I rarely have so much fun at a party that I decide to stay and close it down. 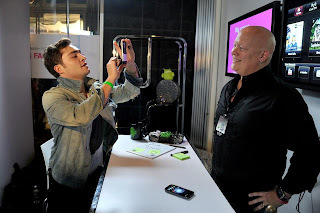 Well that's exactly what happened on Wednesday night for T-Mobile's 4G Factory Live event at Espace in NYC. Guests celebrated the launch of the Samsung Galaxy S II and HTC Amaze 4G and checked out the new phones, while enjoying cocktails and hors d'oeuvres. 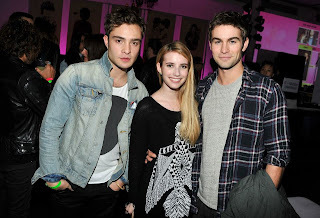 Celebrity attendees included Gossip Girl's Chace Crawford and Ed Westwick, Emma Roberts, Carly Foulkes and Khloe Kardashian Odom. The night just kept getting better, with a special performance from The Black Keys, followed by DJ Questlove spinning it up until 2am. T-Mobile was gifting an item of choice to each attendee, including nail polish, earrings, earbuds, sunglasses, compact mirrors, ties and infinity scarves.